I already feel it–the pressure. Just a peek on social media and I feel like I’m chasing the holidays and I’m falling behind and it’s not even December 1. Maybe you feel it, too? 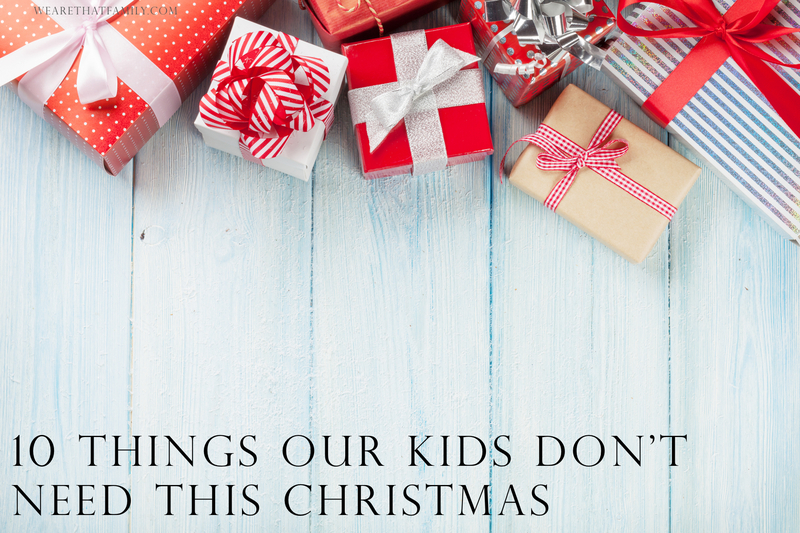 It’s not just all the busyness and festivities of the pending season, it’s the understanding that it’s up to parents to make Christmas perfect for our kids. We are supposed to make it magical. The best Christmas ever. I don’t know about you, but there’s nothing perfect about my life. It’s messy. There are unexpected bills and difficult decisions and challenging relationships, crockpot dinners and there is a lot of hard work. Christmas is for the broken, the needy, the hopeless. It’s for people like me and you. And the message we give our children about this holy season isn’t found under a tree, it’s discovered on it. 1. A Free Pass | It’s okay to expect our kids to contribute this Christmas–to help cook and clean, bake and wrap and to work extra jobs around the house or the neighborhood to help buy gifts for family members and friends. If they aren’t old enough to rake leaves or babysit, create a job jar with suggested ideas. They will feel good about what they give if we don’t give them a free pass. 2. An Elaborate Advent |.If you haven’t thought twice about Advent activities with your kids, you’re in good company. It’s overwhelming getting dinner on the table, much less planning 24 kid-friendly moments that are worthy of preparing little hearts for the coming of Jesus. Talk about pressure. My Advent Rule: Try something. Anything. Read one Scripture. Light one candle. Pray one prayer. Direct one heart to Him. 3. A Pin-worthy Holiday Season | I try not to even look at Pinterest this time of year. Oh, I love it, but sometimes, all the perfection makes me feel pretty pathetic. Our kids don’t need perfect cookies, they just need us to bake with them. They don’t need us to make their holidays look like someone else’s, they just need us. 4. 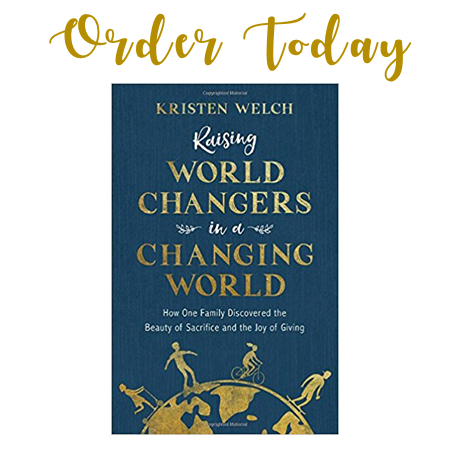 Everything They Ask For | A couple of years ago, a friend told me she just didn’t know how she was going to get everything on her child’s Christmas wish list. When I said, “You don’t have to,” she looked shocked and little relieved. Kids will usually take everything we give them. But that doesn’t mean we should give them everything they want. 5. Our Guilt | There’s a lot of guilt (and depression) this time of year. Our kids have been fed the lie they can have and deserve everything they ask for and when we can’t or won’t give it, we might feel guilty. There’s no room for guilt this time of year. Giving your best and doing your best has very little to do with things. 7. Stuff We Can’t Afford | 1 in 3 people will go into debt this Christmas. Paying off presents that have been long discarded months after the holidays isn’t fun for anyone. Let’s give our kids more than this. 8. For Christmas to Be All About Them | There’s nothing like Christmas with kids–their wonder and joy. But we can’t make it all about them. Some of our favorite memories involve giving Christmas away– sneaking gifts on a single mom’s porch, shopping for children who won’t have much, giving gifts that cost us something….these are the best moments. 9. A Glossed Over Christmas Story | The frenzy of December–the tree and lights and gifts, the parties and food and celebration overshadow the true Christmas story..the one that started in a smelly stable, with an exhausted girl and a dirty birth. One that would change the world and our our lives. This humble, imperfect place is the heart of Christmas and it’s a story our kids need to hear. 10. Christmas Wrapped Up in a Tidy Bow | Let’s embrace the imperfections of the season this year–the unfulfilled wish lists, the unwanted gifts, the unhappy moments. These are the opportunities to point our kids to the truth of the season and to the One who will make all things perfect. Read more about beating entitlement with gratitude in Raising Grateful Kids in An Entitled World. & generally the phone was wired to the wall! You were luck to have 8 stations, i had 4 stations! This was nice! Reading the title my first impression was that it was going to be another run-of-the-mill.. I don’t even know what to call them. “Ugh” fits best. But this was really great! I’ve been Christmas shopping since the beginning of October. Plus we’ve got a birthday mid November and one on Christmas Eve. So I am starting to feel like I’m falling behind. And I say to myself, “relax! It’s not even December yet!” Thank you!! I might add “Elf on the Shelf and His/Her Shenanigans” to that list. Amen!!!!! I saw a friend on Facebook who had 4, yes I said FOUR, elves for her kids and my first thought was, “I don’t have the time, energy, or memory after working all day, making sure homework is done, getting dinner done, coaching basketball practice, running to Girl Scouts, getting them to bed, oh and shopping for Christmas and planning a birthday party a week before Christmas, to even do one elf”. You do know that you don’t have to celebrate Christmas at all if you don’t want to, don’t you? I agree David!!!! Why make it all about something? It is what you make it! Jesus is the reason of the season. Wish more people approached the holiday like that..
We have an 18yr. daughter, and this is how we’ve raised her… We go all out for the celebration of HER birthday. I don’t mean emptying the bank account, I mean making it HER special day doing things she likes (that we don’t do all the time), going to HER favorite restaurant, and yes, giving a gift that she has quietly been hoping for. You are by now saying “Yeah, so what? This is about Christmas!”. You’re right, it is!!! It’s the celebration of the birth of JESUS, not Kaitlyn or Billy, Suzie, Tommy etc… We put up the tree, put small gift’s ( a new movie, CD…) under to be opened Christmas morning along with a FAMILY gift. A Family gift is something we can ALL share, do, participate in… Last year it was concert tickets for The Piano Guy’s. The question isn’t “What to get everyone… It’s “What would Jesus do/want for HIS birthday?” We take names off the “Gift Tree’s” at church for the needy (include grocery store gift certificate with adult gift), hang new gloves, hats, mittens for all age’s and genders off “The Hat Tree”, ring for the Salvation Army for a coup!e of hours, donate food, give time to “Soup Kitchen’s”, visit nursing homes. That’s how we spend Christmas! Doing for other’s gives more satisfaction than you can ever believe. And you’ll end up “giving of yourself” more, throughout the year!!! This was incredibly good to read. And very emotional, ha! I feel so pressured to make Christmas perfect for my kids, while I really strongly believe the commercialized Christmas is pretty awful. How do I close this gap?! But now I’m realizing – I don’t HAVE to close it. My kids are going to have an amazing Christmas even if there’s not a festive bow tied around every corner of our home. Thank you! This is well said….it is how we bought up our children, they found it hard when small and celebrating at family members home at how much other children received, but we just reminded them the real reason for the season. I have seen many get frustrated and depressed about not being able to buy multiple gifts for their kids…..I saw a post recently that suggested 8 you want to buy multiple gifts then buy 4 gifts only 1 × something that they want, 1 x something that they need, 1 × something to wear and 1 x something to read.